Pets love the natural look and feel of our artificial pet grass! SYNLawn® Arizona has safe, hygienic backyard pet solutions for dog lovers in the Valley. Arizona is subject to extreme temperatures. The pads of your pet’s feet are sensitive and react quickly to hot pavement or rock. It’s not just a nicety to have a temperature-controlled surface for your pets when Arizona reaches higher temperatures; it’s the ethical thing to do. Brick, rock and cement all capture heat, which is unpleasant for pets to walk on. Our artificial pet grass has patented HeatBlock™ Technology for an attractive, temperature-controlled alternative that will keep pets safe and comfortable year-round. You want the best for your pets, which is why we’ve made it a priority to create the safest, most hygienic pet grass in the industry. Our specialists make custom grass recommendations for your pet based on the size of your animal, the landscape itself, and the amount of time both you and your pet will spend there. Pets, just like humans, are prone to seasonal allergies. Our artificial pet grass helps reduce pollen exposure and eliminates the need for harmful pesticides and fertilizers which can get on your pet’s paws and cause irritation. It’s the perfect solution for pets who put themselves at risk by grazing on natural grass. And our artificial pet grass isn’t just for dogs – whether you have dogs, cats, parrots, or a rabbit, our artificial grass is the perfect way to spoil your pet. Take advantage of our Zeofill crystals for odor control that can’t be beat! Zeofill is a 100 percent organic infill that uses naturally occurring minerals in sedimentary rocks to reduce pet odors and create a more pleasant look for your yard. The best part? Zeofill is completely safe for pets and children. 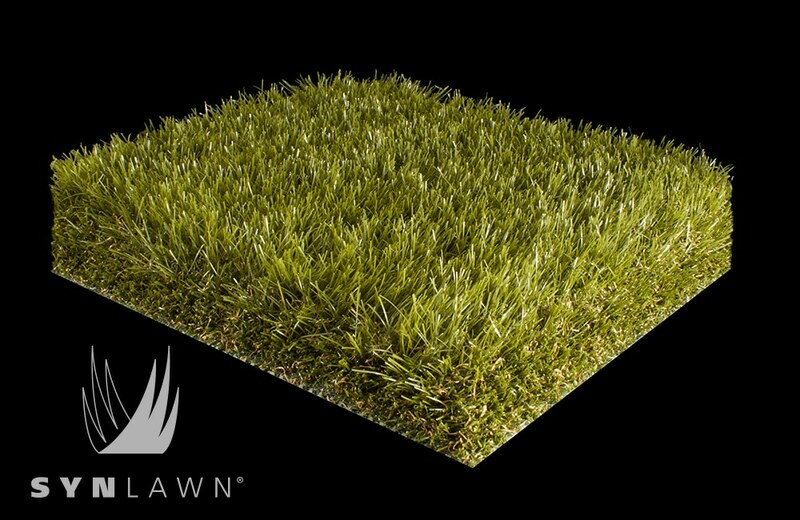 SYNLawn Pet Platinum is the ultimate artificial pet grass for animals of all shapes and sizes. Designed for maximum drainage, lasting durability and low surface temperatures using 100% Nylon fibers with our exclusive HeatBlock Technology in a combination of colors for realistic beauty that lasts. Class 1 Fire Rated for added safety. I've had and cared for the product for a almost a year. I have two dogs who mostly stay in the house. The product isn't holding up all that well. "Blades" keep coming out,and it is lifting in places. The specific product I purchased was the recommendation of the salesperson after I spent time describing my needs. The installation was done by SYNLawn. I spent just under $7000 for a 15x25 area.and well again, it's less than a year old. We've had the lawn for about a year and the Rye 250 is nice and soft for artificial grass. We live in Las Vegas and even though it is heat resistant you can't walk barefoot on it in the middle of summer. That's my only complaint but we the use the yard every day. We also put in a putting green and the kids love it and always want me to putt. It is a little harsher to lay/play on but lots of fun. SYNLawn Pet Premium is a superior performer in comfort and durability for your pets. Using durable, multi-colored 'Omega' shaped grass blades with HeatBlock Technology for low surface temperatures in a combination of colors for a lasting natural appearance. Recommended for pet play and agility areas for animals of all shapes and sizes. We have purchased this model turf for 4 straight years to cover our rooftop club. Great versatility and aesthetically ideal, especially for a large 3,600 sq/ft space.